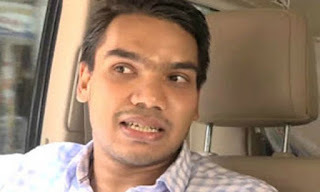 Colombo Fort Magistrate Lanka Jayaratne yesterday issued an order directing the FCID that progress of the investigations against Hambantota District MP Namal Rajapaksa, concerning an alleged misappropriation of Rs.70 million belonging to Krrish Company be submitted in court on the next hearing date. The FCID had filed a B report before Fort Magistrate’s Court against Namal Rajapaksa for allegedly misappropriating Rs.70 million granted by Indian Real Estate Company Krish Lanka Pvt. Ltd, for the development of rugby in Sri Lanka. He is currently out on bail. The case will be taken up again on October 26. The FCID alleged that Krish Lanka Pvt. Ltd had granted Rs.70 million for the development of rugby in Sri Lanka and the amount was given to Ceylon Premium Sports President Nihal Hemasiri Perera. The FCID said Krish Company had remitted the money to a HSBC bank account belonging to Nihal Hemasiri Perera and he had later given the money to Rajapaksa on two occasions. The FCID alleged that the complaint by Wasantha Samarasinghe had alleged that the money granted by Krish Company had been misappropriated by the suspect without utilising them for the real purpose of the company. Counsel Sampath Mendis appeared for the defence.